Everybody loves a onesie, but a onesie outfitted with a WiFi hotspot, GPS tracking and a music library becomes the life of the party. The BB.Suit is a 3D knitted, high tech outfit designed by a consortium of designers and engineers from The Netherlands to showcase the latest and greatest in wearable technology. 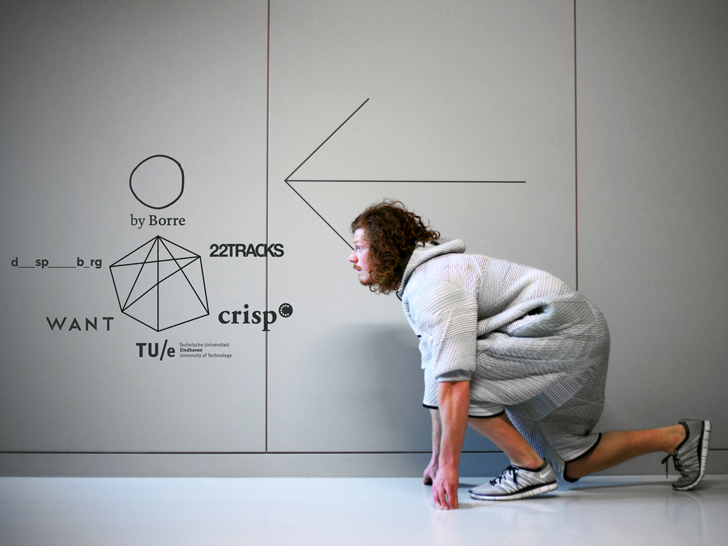 Borre Akkersdijk of ByBorre used advanced knitting technology to create the garment, while Eindhoven University of Technology, 22Tracks, CRISP, Daan Spangenberg Graphics and Want.nl all collaborated to make the suit an internet-connected, walking music library. While the suit isn’t particularly practical, it does highlight the future of where wearable technology is headed. The suit was created by ByBorre is a fabric innovation firm led by Borre Akkersdijk, who won the Bijenkorf Inspiration Award 2011 and the Mini Young Designer Award 2012. ByBorre is known for using a 3D knitting machine that makes round tubes of fabric that can be used for a variety of applications. With input from Eindhoven University of Technology, ByBoree knit the onesie and integrated all of the necessary technology to make the suit internet ready. The BB.Suit contains full Wifi, GPS, Bluetooth and NFC capabilities. To show off their work, they took the suit to the 2014 SXSW in Austin, Texas. Being a show partially dedicated to new music, the suit become a platform to share music as well. The GPS allowed the wearer to be tracked online as they ran around Austin during the festival and anyone could come up to the suit and upload their music directly to the suit. Working with music platform, 22Tracks, other festival goers could then listen to all the music that got uploaded. The BB.Suit then become part publicity stunt, part interactive art, and part technology showcase all wrapped up into one incredibly onesie. How much is the BB suit? Everybody loves a onesie, but a onesie outfitted with a WiFi hotspot, GPS tracking and a music library becomes the life of the party. The BB.Suit is a 3D knitted, high tech outfit designed by a consortium of designers and engineers from The Netherlands to showcase the latest and greatest in wearable technology. Borre Akkersdijk of ByBorre used advanced knitting technology to create the garment, while Eindhoven University of Technology, 22Tracks, CRISP, Daan Spangenberg Graphics and Want.nl all collaborated to make the suit an internet-connected, walking music library. While the suit isn't particularly practical, it does highlight the future of where wearable technology is headed.